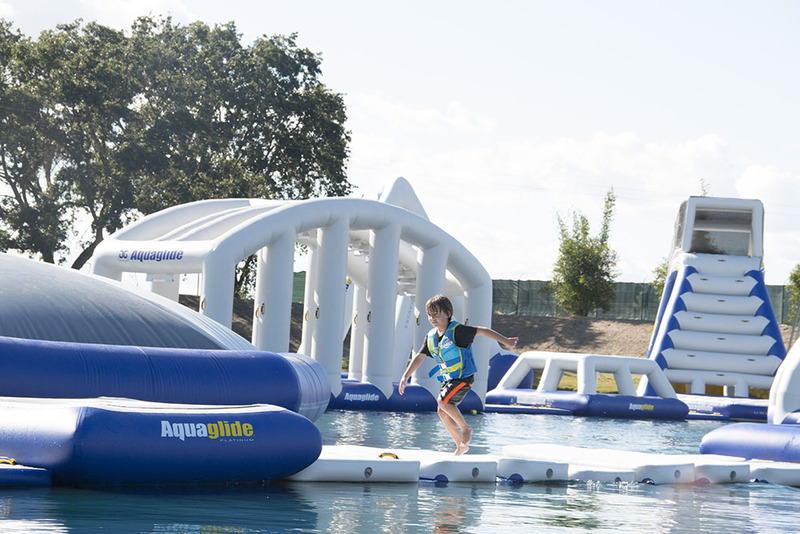 All Oxford Wet n Wild rules must be followed during your visit to the aqua park, If the rules are now followed you will be expelled from the park. All Participants must be able to swim 50 meters unaided and be confident in the water. We are open to all ages from 6+ and over 1.1m in height. 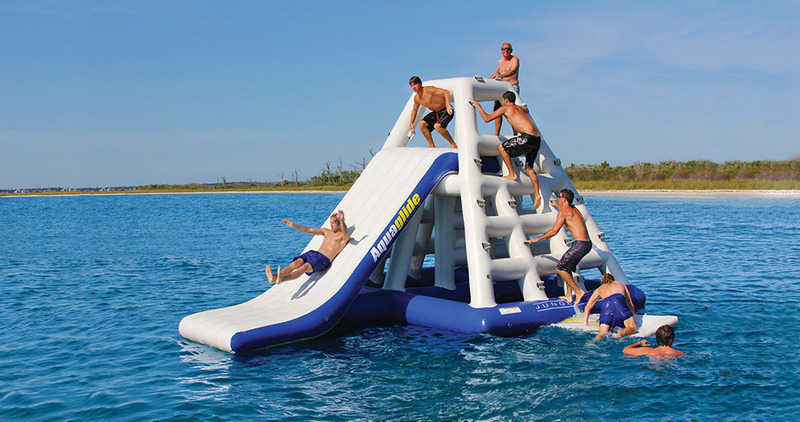 Any participants under the age of 10 years must be accompanied on the inflatables by a responsible adult. 1 adult can supervise 3 children. An adult is someone over the age of 18. Any participants under the age of 16 must have an adult on site during their visit. Sessions are 50 minutes long and start on the hour. Please note you will need to arrive 45 minutes before the time slot booked. All participants must watch the safety video located at the bottom of this page and also attend the safety briefing prior to entering the Aqua Park. Strictly NO diving under the obstacles in any circumstances. No jumping or diving/flips from the top of the obstacles on the Aqua Park into the water. Participants must enter the water feet first only. 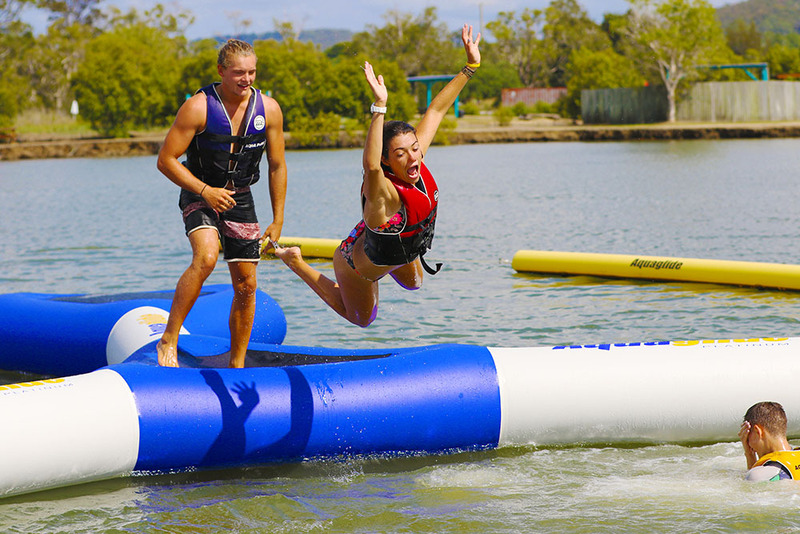 All participants MUST wear a buoyancy aid at ALL times whilst on the Aqua Park. Wetsuits are optional and can be hired at an additional cost of £5 per person. Pre-booked wetsuits cannot be refunded, so if you are not sure if you need one, wait until you arrive, we have plenty in stock. Helmets are optional and free of charge – we recommend wearing one if you are under 16 years of age. All jewellery must be removed (including watches, rings). Goggles are not allowed on the park, as they could injure your eyes. If you have to wear prescription goggles, then this is at your own risk. 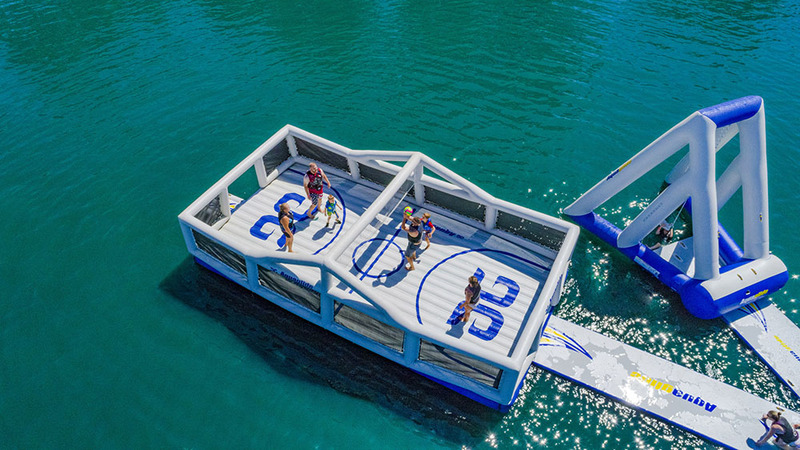 No cameras, GoPros or drones on/over the inflatables. No smoking at any time on or near the Aqua Park. No access to the Aqua Park having consumed alcohol, medication or drugs. Do not enter the Aqua Park if you are pregnant. Please use the features responsibly to ensure you do not injure yourself or others. Please act respectfully to others on the Aqua Park especially children. Any Park attendant or Safety Marshal has the right to expel participants from the Park if any of these rules are broken, with no refund offered. If you have any questions that have not been covered regarding the rules please check out our FAQ page, equally, you can contact us at any time using the contact form or by telephone.